Not at all. Here is the ‘icing on the cake’ – really, the chocolate ganache sauce on the chocolate ganache ice cream. Too much? This is a special treat for special occasions. Layers of glorious rich excess that makes for a lovely treat. Be forewarned – if you happen to take a taste from the mixing spoon, you will be hooked immediately. Dorie Greenspan is an internationally acclaimed chef. Check out her website for easy to make, creative recipes. This one is a favourite we got addicted to last year. 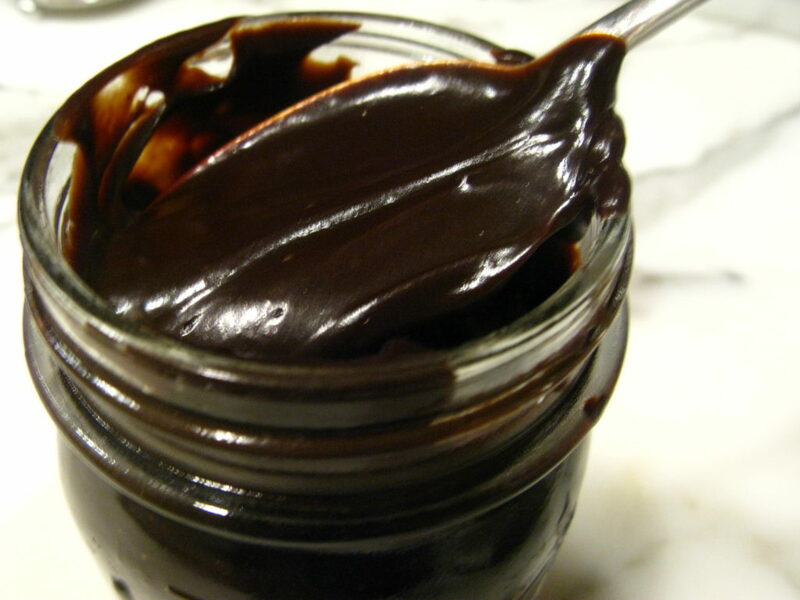 Ganache hot fudge sauce.